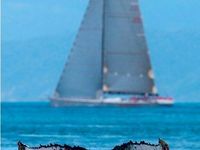 WAYNE Fewings couldn't believe his eyes when he spotted this white whale calf among a pod of humpbacks in the Whitsundays recently. "We were just drifting (in our boat) when I noticed the smaller whale in the pod was white," he said. "I couldn't believe my eyes and I just grabbed my camera. Then the white calf approached my boat, seeming to want to check us out. "I was just so amazed at seeing this animal. "It made me think how truly astounding the Great Barrier Reef is. "I feel very lucky to have witnessed this - it's a once-in-a-lifetime experience." Great Barrier Reef Marine Park Authority (GBRMPA) species conservation manager Mark Read said the calf, which was likely to have been born in northern Great Barrier Reef waters, was probably at least a couple of weeks old. "We can make this assessment because its dorsal fin is quite erect and the dorsal fin of newborn calves is curved over and takes time to straighten out," he said. 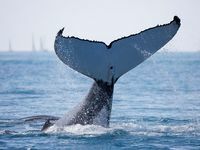 "Nearly all humpback whales are dark on their upper body and this colouration is caused by the skin pigments called melanins. 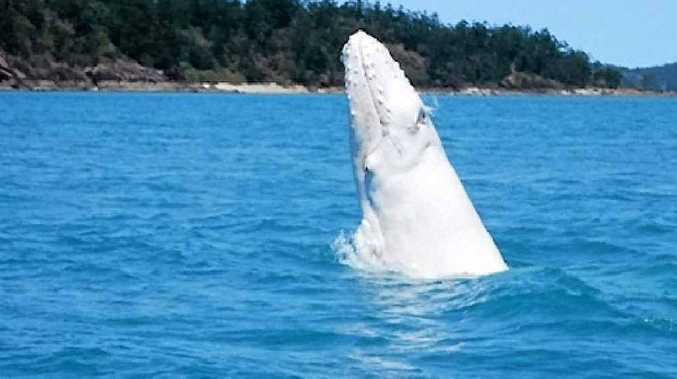 "A purely white humpback whale does not have melanin pigments in its skin. To speculate on the animal's parents is difficult, but what we can say is that this calf is the offspring from two animals that were carrying the white (amelanistic) gene, resulting in this unique white calf." 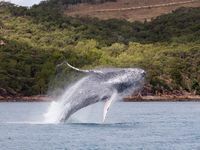 Mr Read said it was believed there were between 10 and 15 white, or mostly white, humpback whales in the east coast's population of 13,000 to 15,000. 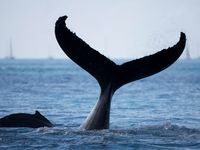 "At this time of year humpback whales are on their southern migration, returning to Antarctic waters, and this animal will be feeding heavily from its mother, trying to put on a good blubber layer to protect it in the cold Antarctic waters." Mr Read said approach distances for whales were in place to protect both the whales and onlookers. Vessels cannot enter water within a 300m radius of a whale calf. 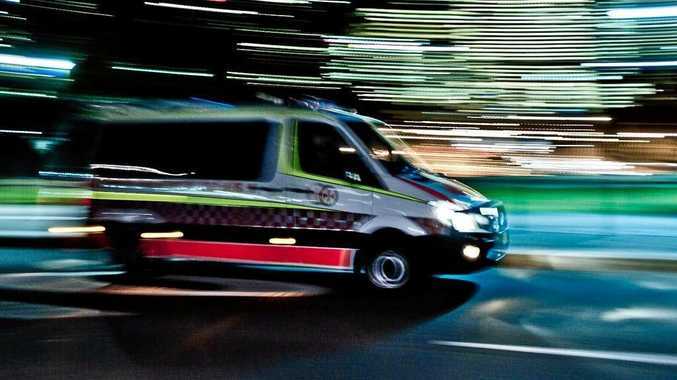 If a whale approaches the vessel, its occupants must keep the motor out of gear until the whales move away.